A variety of the anticancer agents available today are derived from natural sources with several of these being obtained from microbial sources (antibiotics). Many of the antineo-plastic antibiotics are produced by the soil fungus Streptomyces. Both the antibiotic and natural product classes have multiple inhibitory effects on cell growth; however, they primarily act to disrupt DNA function and cell division. There are several mechanisms by which these agents target DNA, including intercalation, alkylation, and strand breakage either directly or as a result of enzyme inhibition. Intercalation is a process by which a planar molecule of the appropriate size inserts itself between adjacent base pairs of DNA and in so doing, it causes a local unwinding that may disrupt the normal template function of DNA. Intercalation requires that the drug induce a cavity between base pairs so that insertion may occur. The interaction of the intercala-tor and the adjacent base pairs occurs by the overlap of p-orbitals of the intercalator and the base pairs. The p-orbitals of the intercalation species are provided by a combination of aromatic and conjugated systems that impart the planarity required for intercalation. The drug-DNA interaction is further stabilized by side chains attached to the intercalation species. The side chains often include a cationic moiety, which may form ionic bonds with the anionic phosphate backbone. Alternative modes of stabilization may occur through a combination of van der Waals interaction or hydrogen bonds. The overall result of these interactions is to cause a local bend or kink in DNA resulting in a local shape distortion. This may produce several effects but is often associated with inhibition of normal DNA function. By virtue of their ability to induce bends or kinks in DNA, intercalators may also result in inhibition of topoisomerase enzymes. In order for the cell to store the nearly 2 m of DNA that it contains, it is necessary to fold the genetic material into a more compact form and in the process, knots and tangles are produced. Topoisomerase enzymes are responsible for the unwinding and relaxation of DNA so that transcription may occur.67 There are two major types of topoisomerase enzymes, which are important sites of action for antineoplastics. Topoisomerase I makes a single-strand break in DNA and subsequently allows the other strand to spin, relieving any tension associated with the packing process and subsequently reseals the broken strand. Topoisomerase II makes double-strand breaks in DNA allowing an intact chain to pass through and then subsequently reseals the double-strand break. 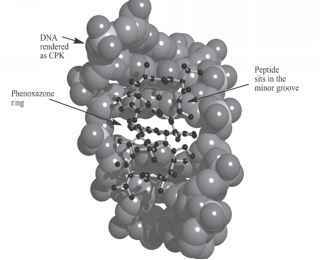 In this way, it can relieve the knotting that occurs upon folding of the DNA. Both enzymes are believed to recognize sequences of DNA, bind and function by formation of a transient phosphodiester bond between the DNA strand and a tyrosine residue present on the protein. Inhibition may occur at different steps in the process such that if there is stabilization of the cleavable complex, the resealing step may be delayed or prevented resulting in strand breakage. This may then activate the apo-ptotic cascade. There are several natural products that are capable of disrupting the formation and function of the mitotic spindle. These include the epipodophyllotoxins, the taxanes, and the vinca alkaloids. The mitotic spindle forms during the M phase of the cell cycle and is responsible for moving the replicated DNA to opposite ends of the cell in preparation for cell division. During prophase, the cytoskeleton made of proteins, which gives the cell its shape, begins to breakdown providing the building blocks for the mitotic spindle. The cell then progresses to prometaphase, where the nuclear membrane begins to disappear and the spindle begins to form attaching the centrosomes to the kinetochores, which are proteins joining the two sister chromatids. Tension is then applied to the spindle so that during metaphase, the chromatids align near the center of the cell. In anaphase, a further increase in tension separates the sister chromatids at the kinetochore, and they are pulled to opposite ends of the cell. Ultimately, the microtubules will disintegrate and reform the cytoskeleton. The process is highly controlled and there are several proteins including "motor proteins," which are involved in coordinating the process. 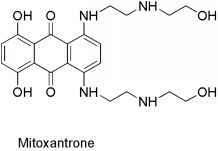 The actinomycins are a group of compounds that are isolated from various species of Streptomyces, all of which contain the same phenoxazone chromophore but differ in the attached peptide portion. Originally, these materials were investigated for use as antibiotics, but they proved to be too toxic. 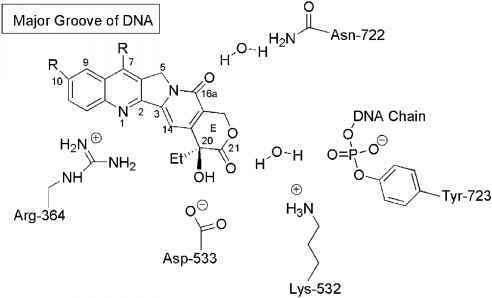 From this group emerged actinomycin D, which is known as dactinomycin and contains identical pentapeptides bound through an amide linkage utilizing the amino group of L-threonine with carbonyls at positions 1 and 9.68 The pentapeptides namely L-threonine, D-valine, L-proline, sarcosine, and L-methylvaline form a lactone via the side chain hydroxyl of L-threonine and the carboxyl group of L-methylvaline (Fig. 10.11). Figure 10.11 • Structure of dactinomycin. guanine and the carbonyls of the L-threonine residues.69 Additional hydrophobic interactions and hydrogen bonds are proposed to form between the peptide loops and the sugars and base pairs within the minor groove. In all, acti-nomycin D spans four to five DNA base pairs (Fig. 10.12). This results in high affinity with the molecule only slowly dissociating from DNA. Additional modes of binding are also possible for the molecule. The primary effect of this interaction is the inhibition of DNA-directed RNA synthesis and specifically RNA polymerase. DNA synthesis may also be inhibited, and the agent is considered cell cycle specific for the G1 and S phases. The drug has been found to bind to single-stranded DNA and double-stranded DNA without adjacent GpC sequences.70 It has been suggested that binding to single-stranded DNA may occur as the strands separate during transcription, and this may be responsible for the inhibition of RNA polymerase.71 Those genes that were being actively transcribed, which would require strand separation, would be more susceptible to this type of binding. Inhibition of topoismerase II also occurs such that the enzyme-DNA complex is stabilized and strand breakage may be seen. Resistance is caused by a decreased ability of tumor cells to take up the drug and P-glycoprotein (Pgp)-mediated efflux. Figure 10.13 • Structure of the anthracycline antibiotics. The anthracycline antibiotics (Fig. 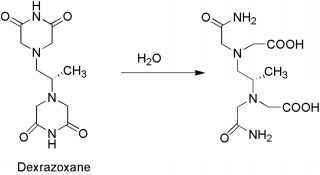 10.13) are characterized by a planar oxidized anthracene nucleus fused to a cyclo-hexane ring that is subsequently connected via a glycosidic linkage to an amino sugar. 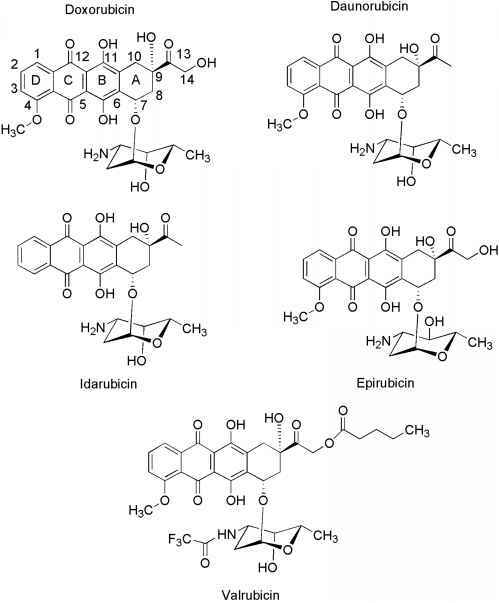 Initially discovered in the early 1960s when they were isolated from Streptomyces peucetius, hundreds of compounds belonging to this class have subsequently been discovered of which five are used clinically in the United States (doxorubicin, daunorubicin, idarubicin, epirubicin, and valrubicin). The conjugated systems found in these molecules impart a red color, which is reflected in the name. Studies of the mechanism by which the anthracyclines exhibit their cytotoxic effects initially focused on the ability of the compounds to associate with DNA resulting from intercalation of their planar ring system reinforced by auxiliary binding of the amino sugar. Subsequent work focused on the ability of these compounds to generate free radicals. Scheme 10.24 • Formation of anthracycline-DNA adduct. Scheme 10.25 • Process of anthracycline redox cycling. apoptosis in numerous ways, and this has been linked to the increased production of H2O2 and hydroxyl radical. One proposed mechanism involves damage to the mitochondrial membrane by H2O2 and -OH resulting in the release of cy-tochrome c, which would activate the intrinsic pathway (Fig. 10.2).78 This sequence of events would be desirable in a cancer cell but not in a normal cardiac cell. Additional mechanisms of cardiotoxicity have been proposed, which involve the metabolic reduction of the anthra-cycline C-13 ketone to the alcohol.79 Several pharmacological effects have been associated with the resulting alcohols including loss of Ca+2 homeostasis and inhibition of Na+/K+-ATPase in cardiac cells. The formation of doxoru-bicin C-13 alcohol, doxorubicinol has been associated with conversion of iron regulatory protein-1 (IRP-1) into a null protein that is no longer able to maintain iron homeostasis.80 It has been proposed that the loss of iron regulation may contribute to the cardiotoxicity seen with doxorubicin. However, compared with doxorubicin, daunorubicin and idarubicin form greater amounts of the alcohol metabolites and exhibit similar and reduced cardiotoxicity, respectively. This suggests that metabolism to the alcohols is not solely responsible for the cardiotoxicity. Several strategies have been developed to reduce the car-diotoxicity associated with the anthracyclines. Slow infusion over 48 to 96 hours versus administration of a bolus given over 15 minutes was implemented in the 1980s and has proven to be effective in reducing the toxicity without adversely affecting the antineoplastic effects. Given the proposed mechanism of toxicity, it is not surprising that several antioxidants have been investigated including vitamins A, C, and E and also thiol-containing reducing agents such as acetylcysteine. These, however, have not proved effective in large measure. An alternative strategy is to chelate the iron required for the activation of H2O2, and for this, dexrazox-ane (Totect) is used.81 Radiolabeling experiment have shown that dexrazoxane is rapidly taken up into myocardial cells, where it is subsequently hydrolyzed by a two-step process to yield the diamide acid (Scheme 10.26), which chelates free iron and iron bound to the anthracycline and is similar to the chelating agent ethylenediaminetetraacetic acid (EDTA). This has been proven effective and has allowed patients to tolerate higher doses and increased numbers of cycles of the anthracyclines. Dexrazoxane is also an inhibitor of topoisomerase II that, unlike the anthracyclines, does not result in strand breaks.82 This additional property is important in its utility as antidote in cases of anthracycline extravasation.83 The anthracyclines are often administered with other antineoplastics such as the taxanes and trastuzumab, which may have cardiotoxicities themselves leading to an increased risk despite the precautions mentioned. 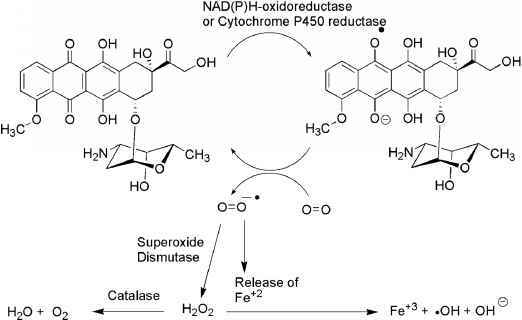 Scheme 10.26 • Aqueous hydrolysis of dexrazoxane to yield the iron-chelating metabolite. Mitoxantrone Figure 10.14 • Structure of mitoxantrone. result of an ionic interaction of the protonated amines with the phosphate backbone of DNA. The formation of covalent adducts with DNA have also been demonstrated to occur in a manner similar to the anthracyclines. In this case, however, other enzymes such as myeloperoxidase are responsible for the generation of formaldehyde.85 Topoisomerase II is inhibited, and strand breakage occurs similar to that seen with the anthracyclines. In contrast to the anthracyclines, mitoxantrone is not a substrate for the reductase enzymes responsible for the conversion to the semiquinone so that ROS are not generated by this process.86 This lack of activation has been attributed to the presence of the side chains. This has the effect of reducing the cardiotoxicity but not completely eliminating it, and caution should be used especially in those patients with existing cardiovascular problems. Dactinomycin is available in vials containing 0.5 mg of drug for reconstitution in sterile water for IV administration This antibiotic is most effective in the treatment of rhabdomyosar-coma and Wilms tumor in children as well as in the treatment of choriocarcinoma, Ewing sarcoma, Kaposi sarcoma, and testicular carcinoma. The pharmacokinetics of dactinomycin has not been well characterized, but it appears to concentrate in nucleated blood cells. The agent is 5% to 15% plasma protein bound and is excreted mostly unchanged in urine and bile. Other metabolites have not been characterized. The terminal elimination half-life is 30 to 40 hours. Myelosuppression is dose limiting with both leucopenia and thrombocytopenia being the most likely presentation. Nausea and vomiting occur shortly (2 hours) after treatment and may be severe. Mucositis and diarrhea also result from irritation of the GI tract. 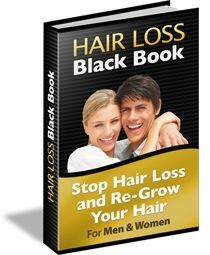 Hair loss is commonly associated with the agent as is hyperpigmentation of the skin and erythema. Doxorubicin is available as both the conventional dosage form and a liposomal preparation, both of which are administered by infusion. Doxorubicin HCl powder is available in 10-, 20-, 50-, and 150-mg vials and is widely used in treating various cancers, including leukemias, soft and bone tissue sarcomas, Wilms tumor, neuroblastoma, small cell lung cancer, and ovarian and testicular cancer. Resistance to the agent involves decreased expression of topoisomerase II and mutations in this enzyme that decrease binding of the drug. The agent may also be actively secreted from cancer cells by Pgp. The agent is rapidly taken up into tissues following injection with a distributive half-life of 5 minutes followed by a slow elimination half-life of 20 to 48 hrs. The primary route of elimination is in the bile and feces. Metabolism involves reduction of the C-13 ketone to yield doxorubicinol (active) along with cleavage of the amino sugar to give the aglycone. The aglycones are also capable of undergoing redox cycling and producing ROS. The toxicities associated with doxorubicin include dose-limiting cardiotoxicity and myelosuppression. Most patients will experience alopecia and nausea. Cardiotoxicity is a limiting factor in the administration of doxorubicin, which, in its most severe form, may progress to CHF. This may occur during therapy or during months or years following the termination of therapy. The percentage of patients that progress to CHF increases with increasing cumulative dose. The liposomal form of doxorubicin (Doxil) offers several advantages including an improved pharmacokinetic profile with slower plasma clearance giving a distributive half-life of 45 hours versus 5 minutes for doxorubicin and a smaller volume of distribution of 4 L versus 254 L for doxoru-bicin.87 There is also reportedly an increased uptake of doxorubicin in tumor cells, which has been attributed to the ability of the liposomes to break down in the more acidic environment associated with tumor cells or by the release of enzymes from the tumor cells that degrade the liposomes. The liposomes decrease uptake by myocardial tissue, so car-diotoxicity is less common. The liposomes also reduce conversion to doxorubicinol, which has been implicated in the cardiotoxicity of doxorubicin. Additionally, there is a decrease in the incidence of extravasation. Other adverse effects are also decreased including less nausea, alopecia, and stomatitis although skin toxicity, which is normally seen as a rash on the feet and hands, may occur frequently. Daunorubicin is available in 20- and 100-mg vials for reconstitution. The agent is given intravenously for the treatment of acute nonlymphocytic and lymphocytic leukemia. Other unlabeled uses include CML and Kaposi sarcoma. In general, its use is more limited than that of doxorubicin. Daunorubicin lacks the hydroxyl groups found at C-14 of doxorubicin. This leads to an increase in the amount of the alcohol metabolite daunorubicinol (active) arising as a result of reduction of the side chain ketone. This, however, does not appear to lead to a significant increase in the occurrence of cardiotoxicity compared with doxorubicin. The mechanisms of resistance and toxicities of daunorubicin are similar to that of doxorubicin; the major difference between the two agents being the spectrum of cancers that they are used treat. A liposomal form of daunorubicin is also available known as DaunoXome. The drug offers the same advantages as those seen for the liposomal form of doxorubicin. Epirubicin is available in 50- and 200-mg vials for IV administration for the treatment of breast cancer. 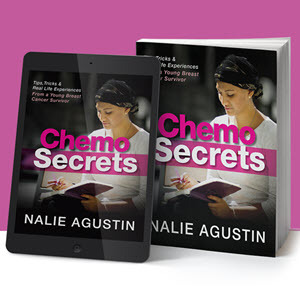 It also has several unlabeled uses in various cancers in combination with other agents including therapy for small cell lung cancer, NSCLC, Hodgkin's lymphoma, and non-Hodgkin's lymphoma. Epirubicin is the 4'-epimer of doxorubicin, which exhibits a lower level of cardiotoxicity compared with doxorubicin. The reduced cardiotoxicity has been attributed to the epimerization of 4'-OH, which places this -OH function in an equatorial position resulting in increased glucuronidation, faster clearance, and reduced metabolic reduction to epirubicinol, the C-13 alcohol (compared with doxorubicin). The glucuronide, which forms via glu-curonidation of the 4'-alcohol, is the major metabolite found in plasma and urine.88 Epirubicinol that does form has little cytotoxic activity. Other minor metabolites that are seen are the aglycones of epirubicin and epirubicinol. These factors have allowed epirubicin to be used in larger doses than dox-orubicin with less cardiotoxicity. Other toxicities typical of the class are also seen with epirubicin. Like doxorubicin, it has a short distributive half-life of 5 minutes; however, plasma levels are 20% to 30% lower with an increased volume of distribution. The agent has an elimination half-life of 16 hours, which is shorter than that of doxorubicin. Epirubicin is eliminated primarily by biliary excretion. Idarubicin is available in 5-, 10-, and 20-mL vials for IV administration in the treatment of acute myeloid leukemia and acute nonlymphocytic leukemia. The compound lacks the 4-methoxy group and terminal side-chain alcohol of doxoru-bicin making it the most lipophilic of the four major anthra-cyclines (doxorubicin, daunorubicin, epirubicin, idarubicin), and it is considered less cardiotoxic than doxorubicin. The removal of the 4-methoxy group also increases inhibition of topoisomerase II. The drug has a fast distributive phase and a high volume of distribution reflecting binding to tissue. Concentrations in blood and bone marrow cells are 100 times higher than those found in plasma, reflecting its use in treating leukemias. Metabolism of the agent primarily occurs by conversion to idarubicinol via reduction of the side chain ke-tone to the alcohol, which retains activity as an antineoplas-tic. Elimination occurs primarily in the bile. Adverse effects are similar to those found for doxorubicin; however, there is a lower incidence of cardiotoxicity. Valrubicin is available in 200-mg vials for intravesicular administration in the treatment of bladder cancer (orphan drug status). The increased lipophilicity associated with the valeric acid ester and trifluoro acetate functionalities increases tissue penetration and remains intact because, in large measure, of the lack of exposure to hydrolyzing enzymes caused by direct delivery into the bladder followed by voiding of the instilled solution. This local action also minimizes car-diotoxicity and other adverse effects seen with other anthra-cyclines. 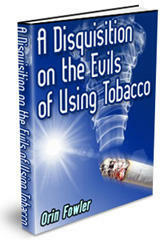 The major adverse effects that are seen are bladder irritation and reddening of the urine. Mitoxantrone is supplied as a blue aqueous solution in 10-and 20-mg vials for IV administration in the treatment of acute lymphoid leukemia, acute myeloid leukemia, breast cancer, prostate cancer, non-Hodgkin's lymphoma, and multiple sclerosis. The mechanisms of resistance are the same as those seen for the anthracyclines. The distribution half-life is 1.1 to 3.1 hours, and the drug has a large volume of distribution (11 L/kg). The elimination half-life ranged from 23 to 215 hours, and elimination was primarily via the bile. Metabolism of the agent involves oxidation of the side-chain alcohols to give the monocarboxylic and dicarboxylic acids.89 Other toxicities are those seen for the anthracyclines and include myelosuppression, nausea, vomiting, mucositis, diarrhea, and alopecia. The intense color of the parent drug and metabolites may turn the urine blue. The epipodophyllotoxins (Fig. 10.15) are semisynthetic derivatives of podophyllotoxin, which is isolated from the mayapple (mandrake) root and functions as an inhibitor of microtubule function.90,91 Chemical modification has led to compounds with a different mechanism of action, which involves inhibition of topoisomerase enzymes.92,93 The change in mechanism was associated with removal of the 4'-methyl group of podophyllotoxin. 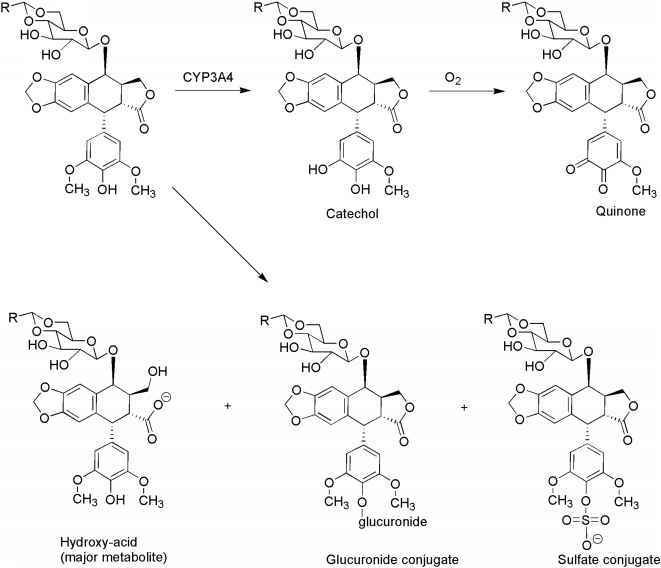 Further alteration in podophyllotoxin involved the addition of the glycosidic portion of the molecules. Etoposide acts on topoisomerase II stabilizing the cleav-able complex leading to single- and double-strand breaks. If enough breaks are initiated, apoptosis is activated. Etoposide is believed to bind to topoisomerase II in the absence of DNA, because it shows little tendency to interact with DNA alone.94,95 The etoposide-topoisomerase II complex then binds DNA, and strand cleavage occurs; however, the ligation step is inhibited. Binding of the drug occurs near the site at which the cleaved phosphodiester bond is held by the enzyme. One etoposide molecule stabilizes the cleavable complex of one chain, and therefore two etoposide molecules are necessary to mediate double-strand breaks.96 The concentration of the agent will then determine whether single- or double-strand breaks occur. The resulting breaks in normal cells may lead to mutations and translocations that have been associated with the development of leukemias posttreatment. The agents are considered cell cycle specific and act in the late S and G2 phases of the cell cycle. 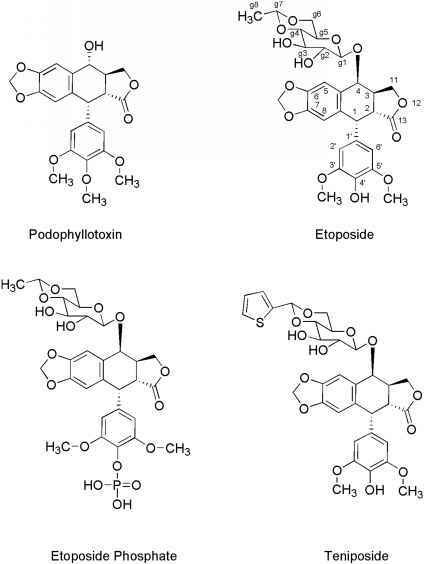 Figure 10.15 • Structures of the epipodophyllotoxins. or develop altered binding sites with lower affinity for these agents. Increased DNA repair mechanisms may also decrease the effectiveness of these agents. There are mechanisms by which double-strand breaks in DNA can be repaired. 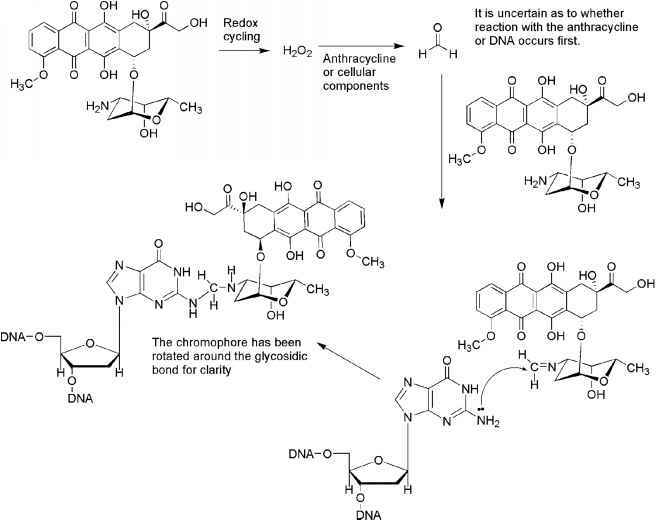 If for example a strand break occurs in the late portion of the S phase or in the G2 phase after DNA has been replicated, the sister chromatid can be utilized as a template to make the repair in a process known as homologous recombination without the loss of genetic material. However, if a sister chromatid is not available, then a process known as nonhomologus end joining may be utilized. In this process, after a double-strand break has occurred, exonucleases remove additional base pairs from each strand creating overhangs. If complementary sequences are present in the overhangs, the strands can associate and the missing bases can be filled in. This process, however, results in the loss of some genetic material. Scheme 10.27 • Metabolism of epipodophyllotoxins. which normally presents as leucopenia. In addition, the drug produces nausea and vomiting in 30% to 40% of patients, which is more commonly seen when the drug is administered orally. The agent also produces anorexia, alopecia, mucositis, and hypersensitivity reactions that may be caused by etopo-side or Cremophor EL (polyoxyethylated castor oil), which is used as a vehicle for IV administration of the drug. Leukemia, especially acute myelogenous leukemia, has been associated with the drugs' ability to produce strand breaks with resultant translocation of genetic material. The leukemias are generally seen 5 to 8 years posttreatment and have been associated with translocation of several different genes resulting in breakpoints around the mixed lineage leukemia (MLL) gene. Transcription and translation of this altered DNA gives chimeric proteins, which form partly from the translocated gene and partly from the MLL gene. Exactly how these chimeric proteins lead to leukemia is not known, but similar alterations are seen with other topoisomerase inhibitors. Etoposide phosphate is a prodrug of etoposide and is converted to the parent by the action of phosphatases. The increased water solubility does not require Cremophor EL or other vehicles to be used. The agent is administered IV and used in the treatment of germ cell tumors, small cell lung cancers, and NSCLCs. Teniposide is available in 50-mg ampules with Cremophor EL for IV administration in the treatment of acute lymphoblastic leukemia (ALL). The agent is more potent as an inhibitor of topoisomerase II. The pharmacokinetics of teniposide is similar to that of etoposide; however, the more lipophilic teniposide is more highly protein bound (99%) and less is excreted unchanged in the urine (10%-20%). There is also greater overall metabolism of teniposide; however, CYP3A4-mediated conversion to the active catechol is slower compared with etoposide. Elimination occurs primarily in the urine with a terminal elimination half-life of 5 hours. Figure 10.16 • Structures of topoisomerase I inhibitors. cancers.99 The lead drug for this class of agents was camp-tothecin, which was discovered in the 1960s by Wani and Wall100 who isolated the material from Camptotheca acuminata, an ornamental tree found in China. Initial testing of the isolated material revealed promising antitumor activity, but testing in phase II trials gave disappointing results. The reason for this outcome was that camptothecin had low water solubility, and to overcome this, the sodium salt had been prepared and used during the trials. This was accomplished by hydrolysis of the E-ring lactone to give the carboxylate salt (Scheme 10.28). The resulting ring-opened material was 10 times less active and more toxic producing inflammation of the small intestines, blood in the urine, and myelosuppression.101,102 Interest in the material subsided until it was revealed that the mechanism of antitumor action was inhibition of topoiso-merase I.103 Subsequently, the incorporation of side chains containing basic amines led to the more water-soluble derivatives, topotecan and irinotecan (Fig. 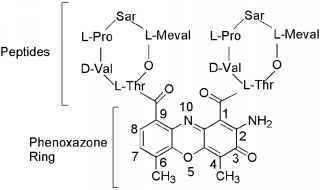 10.16).104,105 These agents could be administered as the lactone giving better clinical results. Topoisomerase I produces single-strand breaks in DNA, utilizing a similar mechanism to topoisomerase II.106,107 The enzyme binds to supercoiled DNA and cleaves a single strand resulting in the formation of a cleavable complex with formation of a transient phosphodiester bond between DNA and a tyrosine residue of topoisomerase I. The complementary strand of the double helix then passes through the break, and the enzyme then reseals the initial strand break. In this way, local supercoils are removed from DNA. The camp-tothecin analogs bind to the enzyme DNA complex after strand cleavage has occurred, such that the planar structure of the drug can intercalate between DNA base pairs and and then stabilize the cleavable complex. The binding site for this intercalation is only formed after the enzyme is bound to DNA, and once this site is occupied by the drug, it prevents the realignment necessary for resealing of the initial strand break. Scheme 10.28 • Chemical hydrolysis of camptothecin lactone. Figure 10.17 • Interactions between camptothecins and topoisomerase I.
this binding is the formation of single-strand breaks most notably at replication forks that occur during the S phase. Strand breakage of the leading strand of DNA during replication results in double-strand breakage and ultimately leads to cell death. Several mechanisms of resistance to the camptothecin analogs are known. Different neoplasms express different levels of topoisomerase I, and this is thought to explain the susceptibility of any specific cancer to these agents. It is also possible for cells to decrease their expression of this enzyme or develop altered forms to which these compounds can no longer bind. Increased DNA-repair enzymes may limit the damage to DNA, and these agents are susceptible to Pgpmediated efflux. The agents have also been shown to activate nuclear factor-^B (NF-kB), which has an antiapoptotic effect so that strand breaks may not initiate apoptosis. Irinotecan undergoes hydrolysis of its carbamate moiety by irinotecan-converting enzyme to give SN-38, which is 1,000 times more potent than the parent compound (Scheme 10.29).110 There is wide interpatient variability in the extent of this transformation, which may explain differential responses to the agent. Further metabolism involves the glu-curonidation (isozyme UGT1A1) of the resulting phenolic function of SN-38 to give SN-38G, which is inactive. 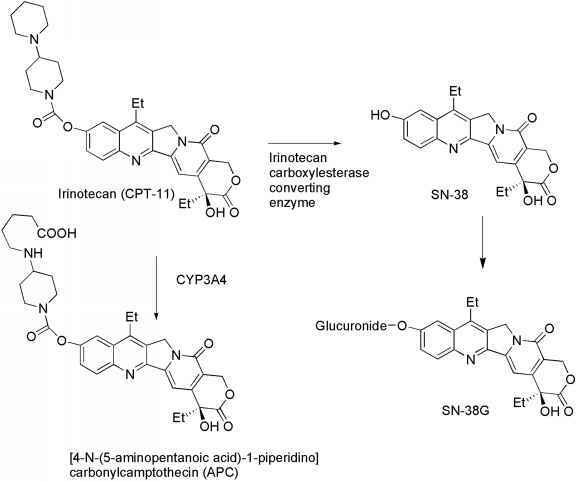 An additional metabolite forms as a result of CYP3A4-mediated conversion to [4-N-(5-aminopentanoic acid)-1-piperidino]carbonylcamptothecin (APC), which is 100 times less active than SN-38. There is also the additional complication that the parent and metabolites may exist as the lactones or as the inactive hydroxy acid forms. Irinotecan is available in 100-mg or 5-mL vials for IV administration and is used in combination with 5-FU and leu-covorin as first-line treatment of metastatic colon cancer. The agent may also be used as a single agent in colorectal cancer as a second-line therapy when 5-FU therapy has failed. Additional uses include small cell lung cancer, NSCLC, cervical cancer, esophageal cancer, and gastric can cer. Irinotecan is 30% to 60% plasma protein bound, whereas the active metabolite SN-38 is 95% protein bound. Binding of SN-38 as the lactone stabilizes the material to ring opening. The elimination of the agent occurs primarily in the bile with a minor amount of renal elimination. The excretion of active metabolites or inactive metabolites such as the glu-curonide SN-38G, which may be converted back to SN-38 in the bile, has been associated with severe diarrhea. Irinotecan and SN-38 have half-lives of 8 and 14 hours, respectively. Irinotecan has two dose-limiting toxicities, myelosuppres-sion and diarrhea. The diarrhea occurs in two forms, early and late. The early form occurs within the first 24 hours after administration. It has been associated with inhibition of acetylcholinesterase, which results in increased gut motility. This early phase is also associated with flushing, abdominal pain, and excessive sweating. Atropine can be used to relieve these symptoms but it is not recommended for prophylactic use unless there has been a prior episode. The late-phase diarrhea occurs after 24 hours and has been associated with the presence of active material, particularly SN-38 in the gut, and may last 3 to 10 days. The prolonged nature may lead to dehydration and electrolyte imbalances. Loperamide therapy is recommended at the first appearance of a loose stool. If the diarrhea persists, additional agents may be used including antibiotics that decrease j-glucosidase-producing bacteria in the gut and prevent the overgrowth of pathogenic bacteria.111 Other toxicities include emesis and alopecia. Scheme 10.29 • Metabolism of irinotecan. both the lactone and the hydroxy acid bind equally well to human serum albumin. N-Demethylation of the tertiary amine to give the secondary amine is mediated by CYP3A4 and represents a minor route of metabolism. Glucuronidation of the parent and the phase I metabolites also occurs to a limited (10%) extent.112 Elimination occurs primarily in the urine, with 30% of the dose being recovered as unchanged drug. The terminal elimination half-life is 2 to 3 hours. The major toxicity seen for topotecan is dose-limiting myelosup-pression. Nausea and vomiting are seen in most (70%-80%) patients, along with diarrhea and abdominal pain. Other tox-icities include headache myalgias, alopecia and elevation of serum transaminases, alkaline phosphatases, and bilirubin. Microscopic hematuria (blood in the urine) may also be seen.